The mission of the Andover Public School Library system is for all users to acquire the knowledge, skills and judgement to become responsible life-long learners through guided access to a variety of information and text. Help staff, students and community to acquire an interest and joy of reading. 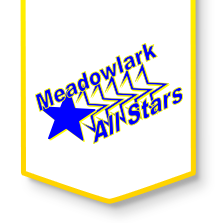 Support Meadowlark Elementary's curriculum and programs by providing needed materials appropriate guidance and instruction. Cooperatively plan with teachers to provide activities that integrate information literacy and research skills.